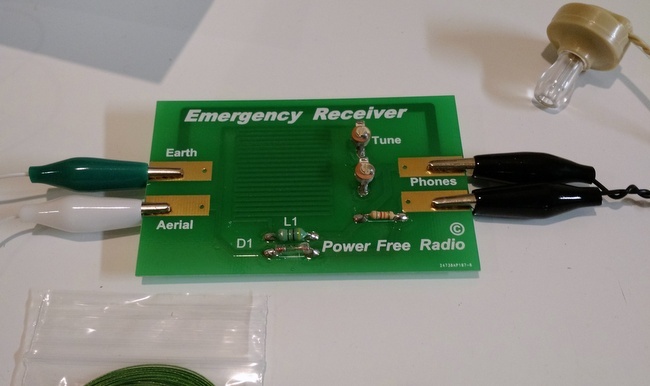 You got me hooked on those little credit card sized radio kits from an eBay seller so much that I have bought a few more of his kits. I’ve found them to be so much fun, that I have started looking elsewhere for other tiny radios. I know it is likely more novelty than performance, but the prices seem ridiculously low for individual buyers. I’m not familiar with the earpiece radios in your links. I have read through those sites, though–unfortunately, as I’m sure Vance noted, they lack any in-depth information. I did a quick Google search and can see that these radios (both the FM and AM versions) have been around for many years–some references go back to 1999. 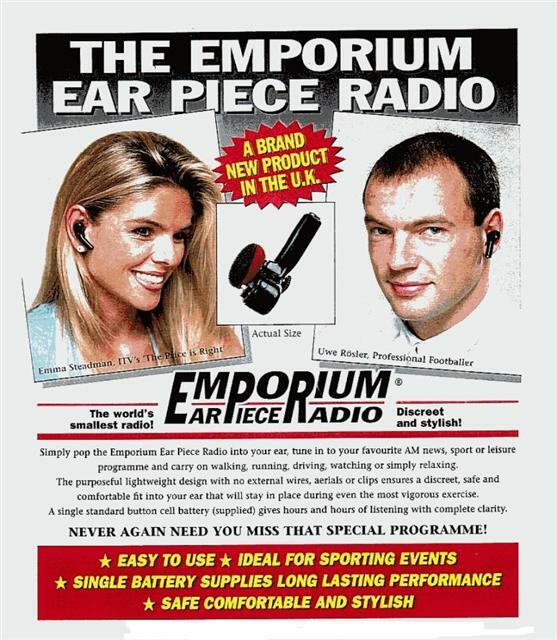 I imagine the earpiece radio uses the same auto-tuner that became quite popular in the late 90s. Simply press a button and the receiver auto-tunes to the next strong station: no memories and not manual tuning. Indeed, I used to attend trade shows in Europe in the late 90s and several vendors actually gave away branded novelty radios (in a variety of shapes) with a similar tuner. Readers: Ever use one of these earpiece radios? Please comment! This entry was posted in FM, News, Radios and tagged Crystal Radio Credit Card Receiver, Earpiece Radio, Emporium Earpiece Radio on November 23, 2015 by Thomas. The credit card radio appears to be none other than the old time crystal radio that’s been around for ages. Interesting that it has made a reappearance after all these years. Yes, I have one of these earpiece radios. Found them to be poor quality audio and very difficult to tune. Bought in about 1998 but never really used except in talks. The earpiece is also rather uncomfortable despite the piece of black sponge. More interesting stuff around.